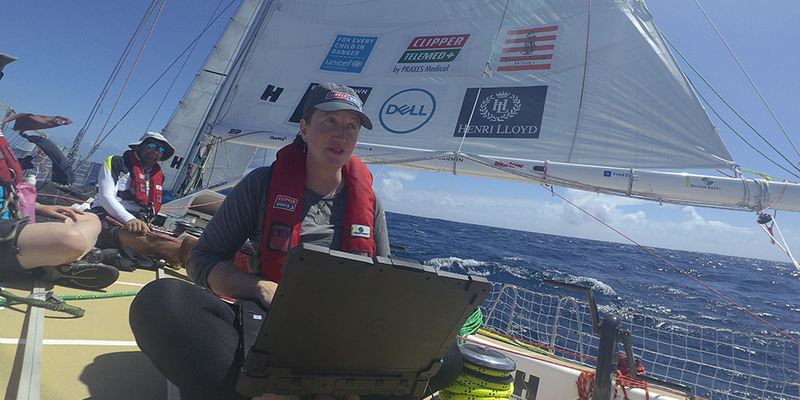 This is the eighth in a series of blogs by Dell Ambassadors competing in the Clipper Race, a 40,000 nautical mile race around the world in 70-foot racing yachts. If you haven’t read the previous blog entries from Samantha Harper and Marek Omilian detailing their adventures thus far, you may want to go read those first. They’re all in the “Sport & Recreation” section of Direct2Dell. For background on Dell’s involvement in this incredible event, read our initial blog here. The mighty Pacific is done and dusted! 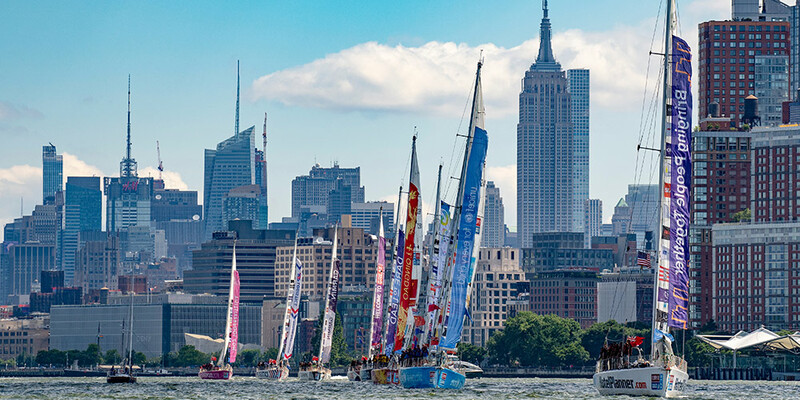 Hello again – I’m now blogging from the west coast of the USA after finishing Leg 6 of the Clipper Round the World Yacht Race, crossing from Qingdao, in Northern China, to Seattle, Washington, USA. 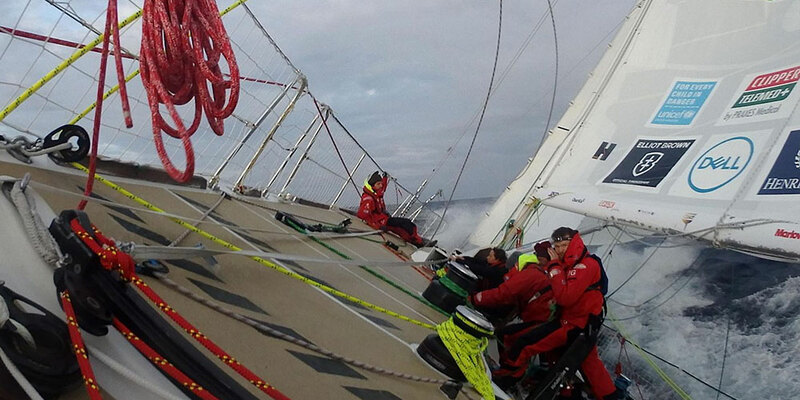 I think every Clipper Race crew member started this leg with a bit of trepidation. 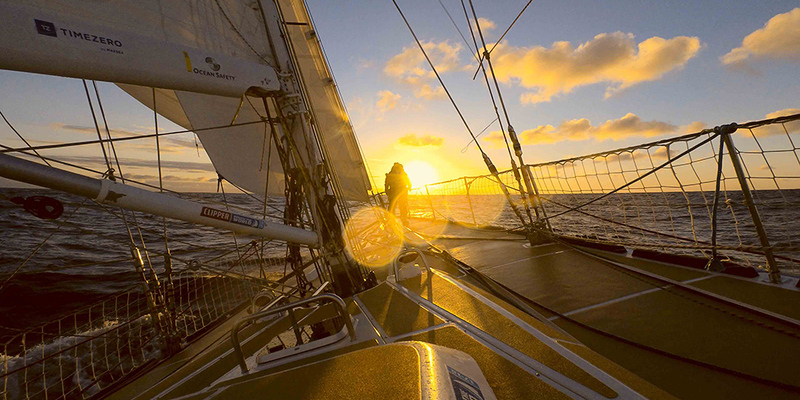 For those of us ‘Round-the-World’ers, it was ‘the big one’ – the harshest, largest, most intimidating of oceans. Stories of snow on deck, massive swells, broaches and knockdowns on previous races had us feeling like the previous legs were all just prep work for what was to come. 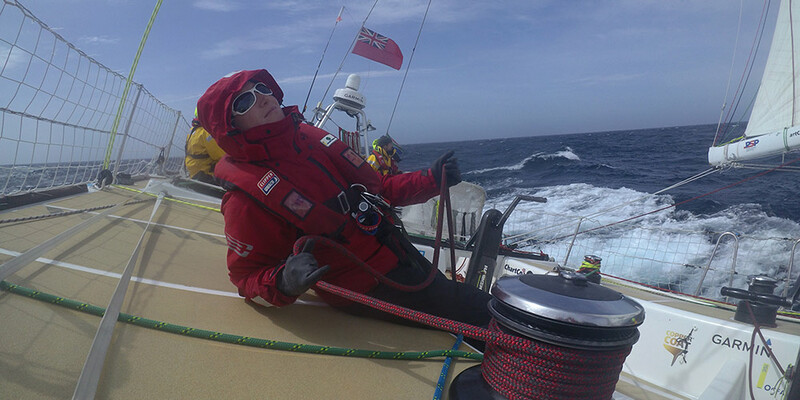 We were joined in China by some familiar faces, Dare To Lead crewmates from previous legs who felt the need to return to conquer this ocean. …these wild ocean vistas get tattooed on your soul. The start from Qingdao was slow and foggy, and brought with it the dodging of massive fishing fleets that plagued us in Leg 5. With frustratingly inconsistent winds, we slowly sailed around Korea and Japan, occasionally playing cat-and-mouse with a surprise rival, Liverpool 2018. After a few days of light wind ‘snail racing’, we finally pulled ahead and out into the open Pacific, ready for the real test to begin. Despite our strategy of playing it conservative – making early reductions in sail size if wind or weather began to deteriorate – we were able to keep within the top five of the fleet and enjoyed some good downwind sailing. 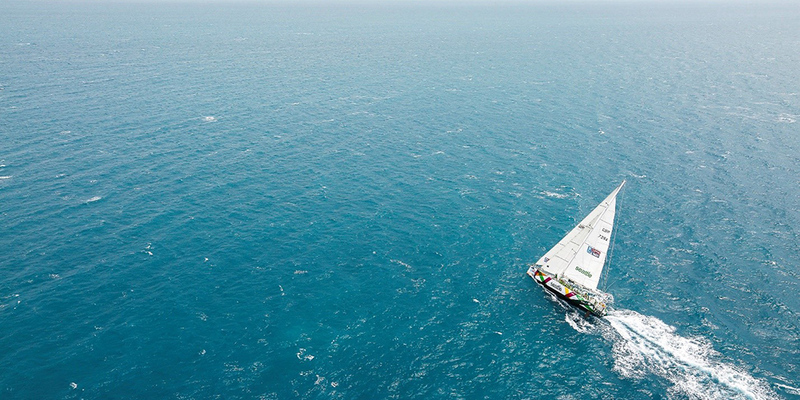 Although all the boats in the Clipper Race fleet are identical, every boat seems to have its quirks and strengths. 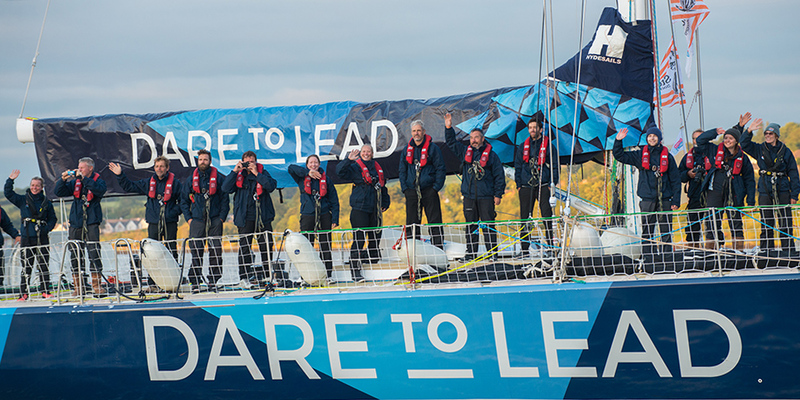 Dare To Lead loves downwind sailing! Overall, the sailing was far more enjoyable than we’d imagined and playing it safe meant that life above and below deck was more comfortable than it could have been. 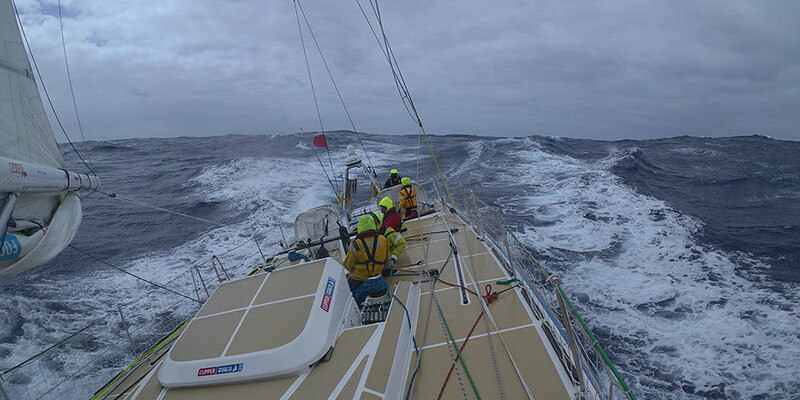 The waves were large, as promised – often 30+ feet – but given our experience in the South Atlantic on Leg 2, nothing foreign to many of our helmsmen and cockpit crew. That being said, the icy cold of a North Pacific winter was every bit as torturous as we thought it would be. Our large stainless-steel kettle was on the stove 24/7, warming bodies with hot cups of coffee and hands as they hugged its sides. 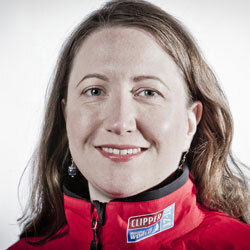 Drysuits were the must-have fashion item nearly every watch, as in these cold conditions, what is wet will never dry. The battle for warm hands was daily struggle. Despite the advances in athletic gear and fabric, we have yet to find a glove that provides perfect breathability, waterproofness and warmth without sacrificing dexterity. Let me tell you, if any closet inventors are out there, you will make a fortune off next race’s Clipper Race crew if you can invent such a thing! The crew used every kind of glove imaginable, from rubber kitchen gloves (Brits call them ‘marigolds’) to Gore-tex ski gloves (horrible when wet!) to surgical latex gloves. People were willing to try whatever it took to protect their cold fingers! We were fortunate to witness some of the finest visuals Mother Nature could display, from gorgeous sunsets and sunrises to endless shades of azure, cobalt and indigo blue blending waves and sky together. 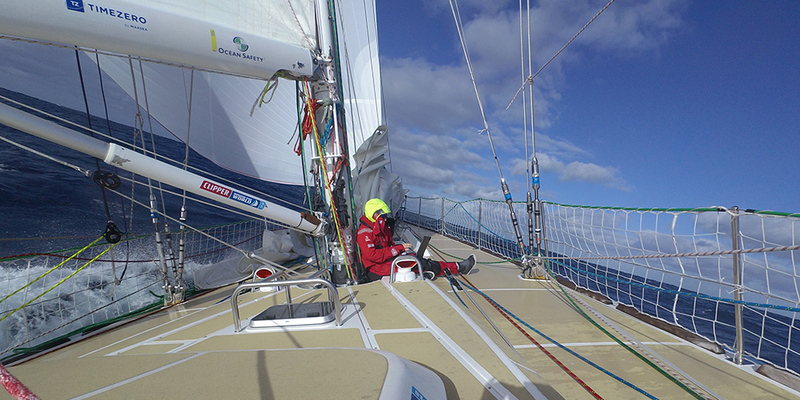 Morale on board was good and we were feeling confident that a podium was within our grasp… until our good fortune began to unravel a few days before the finish line. For starters, both our Code 1 (Lightweight Spinnaker) and Code 3 (Heavyweight Spinnaker) exploded in less than 48 hours. The loss of the Code 1, too damaged to repair at sea, was especially crippling as the winds began to ease in the final hundred miles, as it would have been the sail of choice to fly. To add insult to injury, while we were putting a reef in (lowering the main sail) two days before the finish, the main sail track separated from the mast 50 feet up in the air. Now it’s not unexpected that things will start breaking down after 30,000 nautical miles at sea, but the timing of this was especially bad. Essentially it meant that we were now unable to hoist the mainsail to its full height. This is fine in rough weather – more sail area means more for the wind to act on – but in light winds, being stuck on the third, smallest reef was also another nail in the coffin of our podium dream. And so we soldiered on, ultimately limping through the finish line in seventh place. Not our best finish, but in the grand scheme of things, we survived a treacherous crossing with all crew safe and sound and the boat generally in one piece. 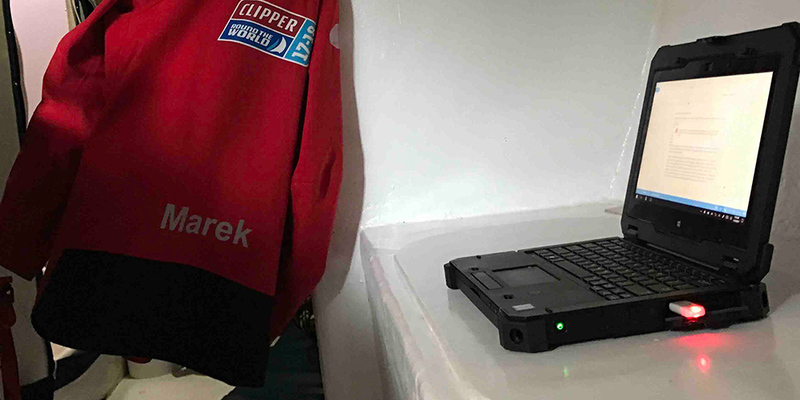 Our Dell products continue to perform well both on deck and below and have more than handled the icy temperatures and saltwater pounding the Pacific has brought. I think we will all carry forward memories of the massive seas, the harsh chill in the air and the sheer awesome force of nature we witnessed in the North Pacific. The mountains of Vancouver were a welcome sight when we reached the finish, and our nighttime arrival into Seattle meant the full splendour of the city lights was on display when we motored up Elliot Bay. 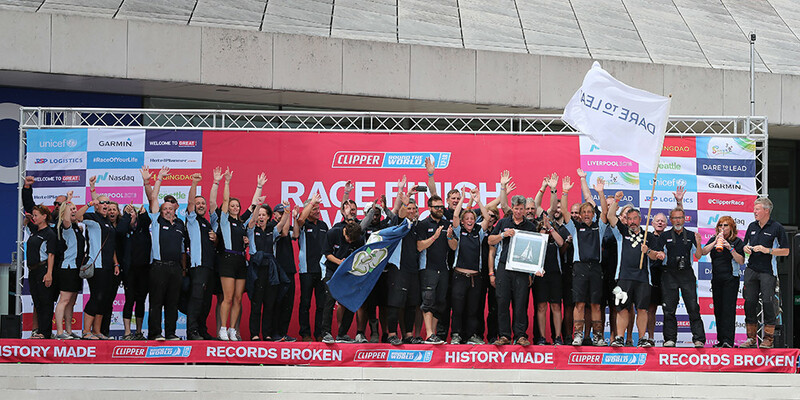 Our stopover in Seattle has been bittersweet as it means losing a few great ‘leggers;’ crew who have been instrumental to our podium finish in Leg 5 and all in all some of the greatest people you could ask to sail with. That being said, our new joiners are filled with enthusiasm and we are all looking forward to transiting the Panama Canal, one of those once-in-a-lifetime opportunities. Thanks for reading – see you in New York!